Hasuan Viera drew a bases loaded walk to force in a run in the eighth inning and the Indians (9-17) came back from a 7-1 deficit to edge the visiting Emeralds (9-17) 8-7 on Wednesday. The big play: Joseph’s homer to tie it was the big blast, but they couldn’t have gotten to that point without Martinez’ two-strike two-run homer the previous inning. After getting off to a miserable start (.125 over his first 16 games), Martinez is 12 for his last 36 (.333) over 10 games. The Good: Warner Leal. Credit where it’s due. Leal has bounced around the lower levels of the organization this season but his performance held Eugene in check and gave the hitters a chance to get the club back into the game. The Bad: Jake Latz. The young left-handed was roughed up. The Ugly: Tyler Depreta-Johnson went 0 for 4, including a poor sacrifice bunt attempt after Joseph’s three-run homer, and he stranded seven runners. The 0-fer left him in an 0 for 20 slump. The Takeaway: The Indians up their home record to 9-6 and now find themselves four games behind the three other North Division teams in the first-half race with 12 games to play. 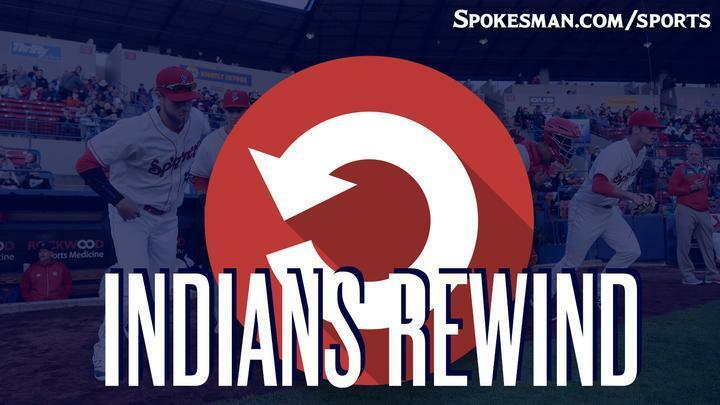 Next Game: Indians vs. Eugene on Thursday at 6:30 p.m. at Avista Stadium. Published: July 12, 2018, 11:55 a.m.